Mauritius is a small landmass off the east coast of Madagascar in the Indian Ocean. The island is part of the Mascarene Archipelago and along with the Island of Madagascar, constitutes one of the biodiversity hotspot of the world. Mauritius is unfortunately remembered for the legendary ‘Dodo’ – a flightless bird that has become extinct during the 17th century. However, since then, the conservation work being effected since the 1970’s has been very successful and Mauritius, in spite of her small size, contributes to 7% of the fauna saved from extinction. The country has been able to reverse that negative image of species loss but nonetheless, the ecosystems and associated vegetation remain fragile and vulnerable. 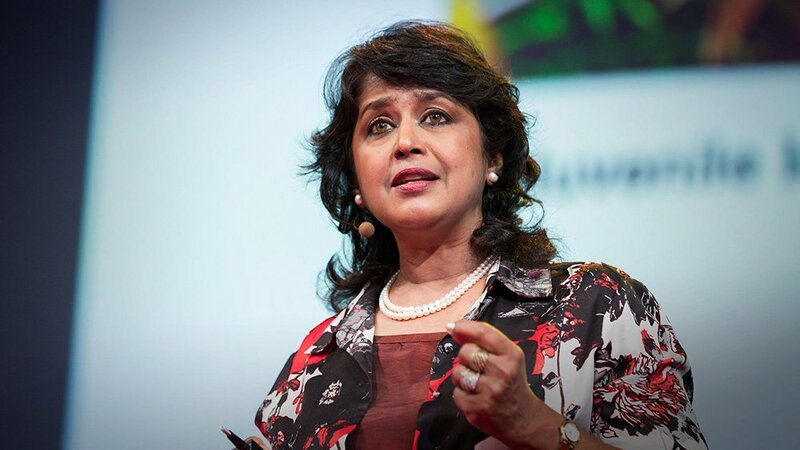 Ameenah Gurib-Fakim, President of Mauritius, is a scientist and has spent her career studying the local biodiversity. As a chemist, she has special interest in climate science and is very much aware of the dangers that a changing climate presents to island states like hers. Mauritius is 13th on the world risk report and is experiencing the global warming symptoms, including flash floods, longer and drier warm spells. The 2013 flash floods brought over 200 mm rain in less than 3hrs and resulted in loss of 11 lives. With these observations and with her background, she is increasingly being called upon to lend her voice to the dangers of a changing climate. Just like many other scientists and policy makers, she remains convinced that climate change is the biggest threat facing humanity. Broader consensus is required and a shift from the traditional way of doing business is no longer an option. At COP 21, countries submitted their INDC’s which have subsequently become NDCs. Over 195 countries have ratified this treaty and shows that countries across the planet are aware of the inherent dangers that climate change present to the survival of humanity. It is indeed regretful that the USA has pulled out of this critically important agreement, as the science is clear on the climate issue. The data generated from the IPCC is increasingly shaping policy and nations are being called upon to act responsibly. Fortunately, the millennials are precisely those generations that are changing their lifestyle and showing promise towards the concept of sustainability. They need to be encouraged by the formulation of the right tools including a responsive regulatory environment. India is positioning as a champion of green energy. The launch of the International Solar Alliance in 2015 at the COP21 is one such initiative. The country has embarked on the largest energy transformation project in the world, adding 50 percent more solar and wind power than the U.S. currently has installed so far. Mauritius, with strong ties to India, has also joined the coalition and is placing a high premium on renewable energy. With renewable energy set to become cheaper than that generated from fossil fuel, it is inevitable that people will eventually vote through their pockets… it is the only way to bring the changes that we want and the changes that we need. The will and power to change rests with the people and starts at the ballot box. Interestingly, when big issues are at stake, humanity does come together as a family and speak as one. People are gradually realising that speaking with one voice is the approach that must be adopted to effect durable changes. Ameenah Gurib-Fakim is perhaps best known for her work on the local biodiversity; documenting traditional knowledge and for the translation of this work into an enterprise. Whilst this documentation was carried out over 20 years ago, this exercise is now taking centre stage on the African continent. It is an issue that is becoming critical especially as the accompanying biodiversity is also disappearing. It is important to preserve biodiversity as it underpins life on earth and is a potential source of new lead molecules for medicine and industry at large. For Mauritius, the entire database has been published and now constitutes, prior art. Countries like India and China have led the way in both documenting and codifying traditional knowledge. China now gives the same status to traditional Chinese as that of allopathic medicine. The case for Mauritius is interesting in as much as 15% of the documented medicinal plants are indigenous species. 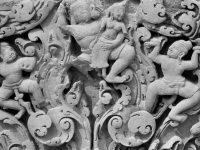 From an anthropological view point, it is worth paying attention to as the history of human presence on the island does not exceed 250 years. It looks like people have been experimenting on the local biodiversity when they ran out of the plants they brought over from India, China and Africa. Recognizing the importance of such lore, Gurib-Fakim went on to incorporate the Center for Phytotherapy Research, rebranded in 2015 to CIDP Research and Innovation and is dedicated to extracting and generating innovative ingredients from the local biodiversity. As already mentioned, the preservation of our local biodiversity is important not only for the world of medicine but equally important for ensuring global food security. The Food Forever Initiative, chaired by Ameenah Gurib-Fakim, was launched recently in Stockholm to raise awareness for the importance and urgency to conserve agricultural biodiversity germplasm both in situ and ex situ. The phenomenon of seed banks is relatively new but needs to be promoted and accelerated. Seeds conservation is already happening at the Svalbard – the world biggest collection of seeds. It is critical to save the original seeds as it can be used again in their country of origin when there is a threat of sorts. This happened recently when seeds saved at Svalbard were transferred back to areas of conflict in the Middle East. Saving the seeds also help us ensure our food security in a changing climate. Seed banks remain voluntary initiatives but gaining in traction. These efforts will guarantee future existence and provide a valuable resource for our ever-changing world. It can make a difference between food security and famine. Avoiding the apocalyptic scenario is our collective responsibility, of course, but individual efforts like those of Gurib-Fakim, are invaluable. An all-round environmentalist and campaigner, she is a charismatic and articulate advocate for preserving this beautiful planet, rather than colonising others, for future generations.